Using these apps require little to no experience and you can gather experience as you go. Nobody holds the secret to the perfect Facebook ads campaign, so when you want to start learning and do the intricate, but a somehow logical thing to grow your business, using a Facebook ad creation tool is the only way to go. Not only that, but there are a bunch of other programs online that will help you in running Facebook ads, such as designer apps and keywords research tools. Ultimately, before even going ahead and choosing one of the tools below, make sure you check some Facebook ads guide for your personal and professional development before going head first into trying your luck. One of the growing field of the advertising world, Facebook small business advertising, can also benefit from the Facebook ad tools that you’ll find in this article. 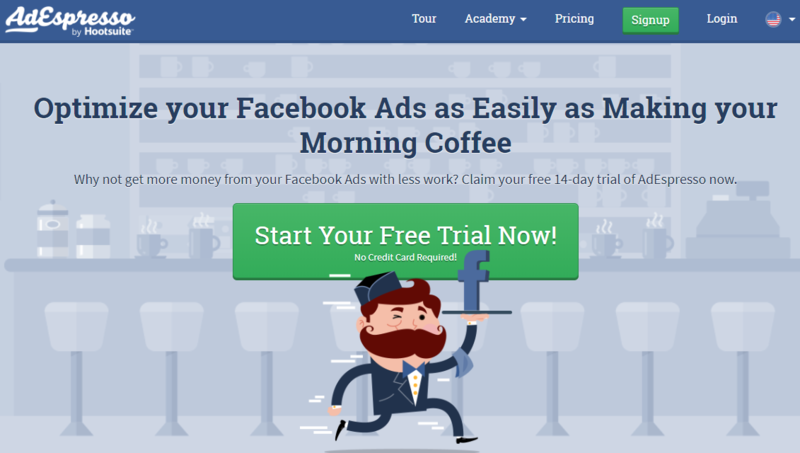 If you are searching for a useful, simple and straightforward Facebook ad creation tool, AdEspresso is your ultimate answer. Facebook provides many ad variants and targeting options making it challenging to test each of them as it takes lots of time to set-up. Fortunately, the multivariant technology from AdEspresso makes it simple to test and optimize ads increasing ROI of your campaigns. You can test multiple variations of your Facebook Ads based on your targeted audience and find out which one is generating best result. On top of that, you can generate fully customized PDF reports of your Facebook Ads. “Automatic post promotion” feature of the tool enables you to promote your latest posts automatically saving you precious time. Adespresso’s expert team provides training and support for as low as $47 that helps you strategize and execute effective Facebook marketing campaigns. Don’t miss out on visiting AdEspresso Facebook Ads examples Gallery – the only place where you can see more than 136,500+ real examples of world’s best-performing Facebook Ads and get inspiration. Whether you’re a desktop or a mobile kind of guy, there’s no other better way to go by for your Facebook ads than on Facebook itself. Facebook Ads Manager gives you the perfect access to all of the necessary marketing tools for you to create great targeted ads which will enrich your audience and put some money into your pockets. Although this is certainly the most basic tool in the Facebook marketing business, it is also the leading one and used by more single users and professional companies and marketing agencies alike, from all over the world. Does HootSuite sound familiar? That’s because you probably used it before (or still are) as your social media management platform for all of your social media channel. Few people know that HootSuite is also a Facebook ads management tool. Not only that, but the app simply takes your new and probably boring and ineffective ads to the next level. The best feature of this Facebook advertising tool is the ability to have your ad ready in a few seconds, with the built-in scanner that chooses the shape, photo, and text for your ad. You literally have to do nothing but approve the ad and you’re good to go. Using the right Facebook advertising tool is sometimes not enough for your business to grow as fast and as good as you’d like. That’s when services like GrowthOK come in handy. This is not just a Facebook ads tool, but an entire team of experts ready to give you a helping hand and work on your best possible version of the ad. Not only that, but you can get the ad completely made from scratch by the team of professionals, so you don’t have to sweat about anything. This could be a solution for you and will save you from reaching out to growth experts, designers and copywriters, but have them all work under the same roof for your business. One of the better platforms for creating your next best Facebook advertising campaign is Qwaya, although some comment on the lack of visual input that apps like AdEspresso have. Great in its own way, Qwaya is dedicated more towards the middle to a higher experienced user. So if you’re just starting out, you’re better off with another one of the tools listed in this article. If you’re looking for a more complex tool, which gives you the opportunity to work with the people in your team simultaneously on the same ad, then this is definitely the app to check out. If you want to automate your Facebook ad campaigns, Reveal is the best tool for you. It lets you set up automated rules for your Facebook and Instagram ads and then it optimizes your ad performance helping you increase your Return on Ad Spend. You can Automate your Facebook ad campaigns using different rules like start, pause, set / increase / decrease budget and bid actions. On top of that, you can just set conditions, define parameters, activate the rule and see ad sets created automatically based on your custom conditions specifically to boost your post. It offers 14-day free trial and it’s monthly plan starting from $49. Chances are, if you’re looking for a Facebook ad manager tool, you’re not going to advertise exclusively on Facebook. With platforms like Youtube, Instagram, Twitter and others at your disposal, you need a tool which lets you work on all of the social media sites at once, and Ad Stage is one of those tools that do it the best. You can use the tool to create ads for platforms like LinkedIn, Google Adwords, Bing, Twitter and of course Facebook, with Youtube and Instagram being almost ready in a few. You can do budgeting, comparing, pausing campaigns and everything else and on all networks with the same tool. As mentioned in the introduction, the ad tools themselves are not enough if you’re really looking to have a shiny, converting ad on Facebook. A designer is costly, but what if you can replace him or her with an actual tool, available online, free and which require little to no design background? Canva is just that! This tool makes it very easy for you to create any ad with a very user-friendly drag-and-drop builder. There are standardized image sizes perfect for Facebook ads, which will make your life very easy, as Facebook is pretty sensitive about the sizes of the images used in the ads nowadays. Social Ads Tool is a Facebook Marketing partner for the business owner like you. This is one trustworthy provider which has a primary goal of gathering lead generation and advertising success on the biggest social media platform in the world. The tool allows for automatic optimisation of the ads, along with deep reporting about how your ads are doing, conversion tracking, but also a lot of other features added A.S.A.P. to the tool as soon as Facebook releases a new feature. This is one of those special, high-end Facebook ad management tools that will make it easy for you to reach for the stars. With brands like BMW and Coca-Cola relying on them, Driftrock comes with a special set of features that will definitely leave you impressed. There’s a simple, yet a unique 4-step solution for every Facebook ad that you’re going to implement, creating, automating, triggering and lead responding. This means that Driftrock will let you trigger an ad based on things like TV schedules, events, the weather and so on. You will no longer need to turn your ads on or off based on the time of day or other things. What AdRoll does is it retargets the stuff that you are selling or presenting on Facebook to the exact customers that you need, when they are looking for the things that you have to offer. It’s like a guardian for you and your services, ready to hop into the timeline of the client at the right moment. AdRoll works in many ways, but one example is this: someone comes to your website and looks around, he or she leaves without making a purchase, yet as soon as they reach Facebook, they get to see your ad on their feed and hopefully click on it and become your next client. AdRoll reaches your customers regardless of their devices, which is just another bonus feature to a great lead generation tool. Facebook is the ultimate tool for advertising your business or product. Yet, even with the right tool and knowledge, there’s sometimes hard to get ads right. 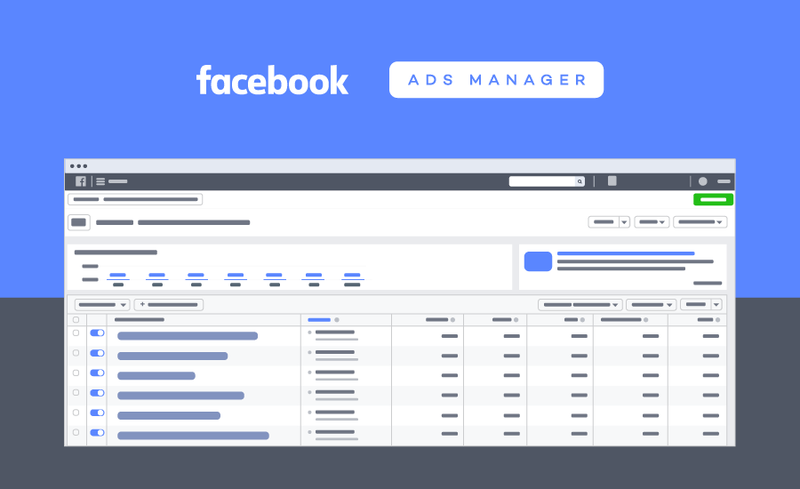 Hope you find our list of “Facebook Ad Manager Tools” useful. We will keep on updating it with time. If you believe that there is a related tool that should be on this list, then please do share its name with us in the comment.